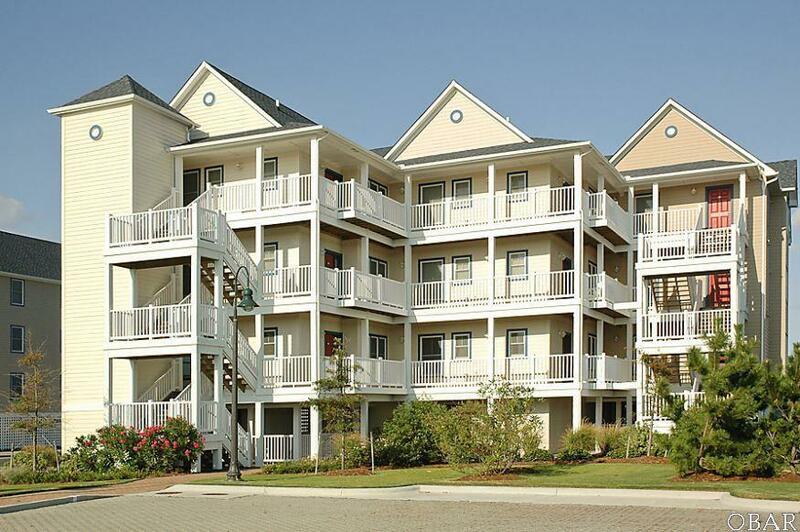 E-6 is conveniently situated in Hatteras Village's upscale Slash Creek Condo Community, this two bedroom, two and a half bath condo provides first class accommodations with canal and sound views! 2nd level, end unit in New building with July 2016 completion! Bedroom one is a king master with full bath. Bedroom two is a king master with window seat overlooking the canal and sound, and tub/shower/whirlpool full bathroom. Inner Peace is a fantastic get a way within the heart of Hatteras Village. Elevator, pool, sprinkler system, all new appliances, granite counters in kitchen, jetted tub in the master en suite, sound views from master bedroom, boat slip conveys and is right out the door, boat trailer parking on site. Great rental history, and shows like brand new! Just a few minutes from the Free Ferry to Ocracoke, enjoy the Island life in the Hatteras Village golf cart community. Well loved with meticulous care, you will truly find your Inner Peace! BOAT SLIP ASSIGNED TO E6 Great Rental Income potential! 2016 was not open for rent until late season.